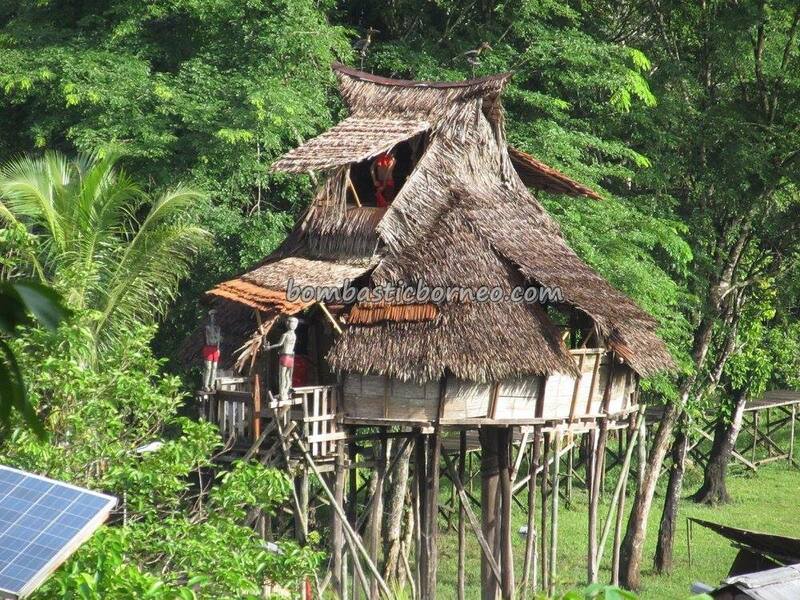 Location : Dusun Sebujit, Desa Hli Buei, Kecamatan Siding, Kabupaten Bengkayang, Kalimantan Barat, Indonesia. 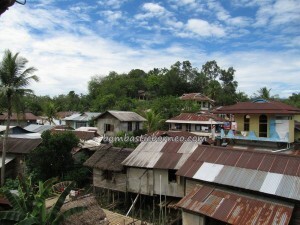 It’s been 3 years since our last visit (http://bombasticborneo.com/2012/07/nyobeng-sebujit-2012/) here for the same event and this village has transformed drastically with concrete paths, solar street lamps, lounge beside the baruk and most importantly a constant supply of water. 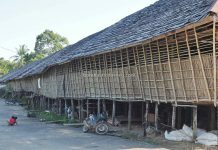 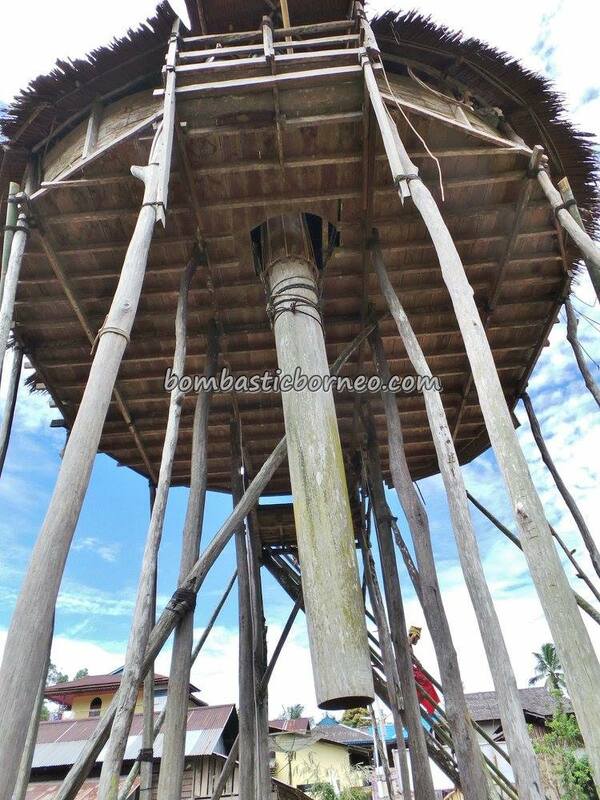 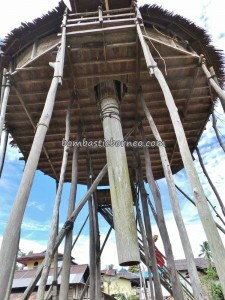 It is so much pleasant now to take a stroll around this Bidayuh village. 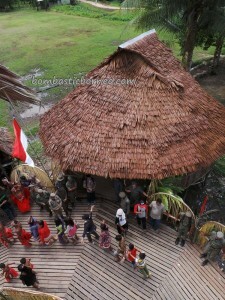 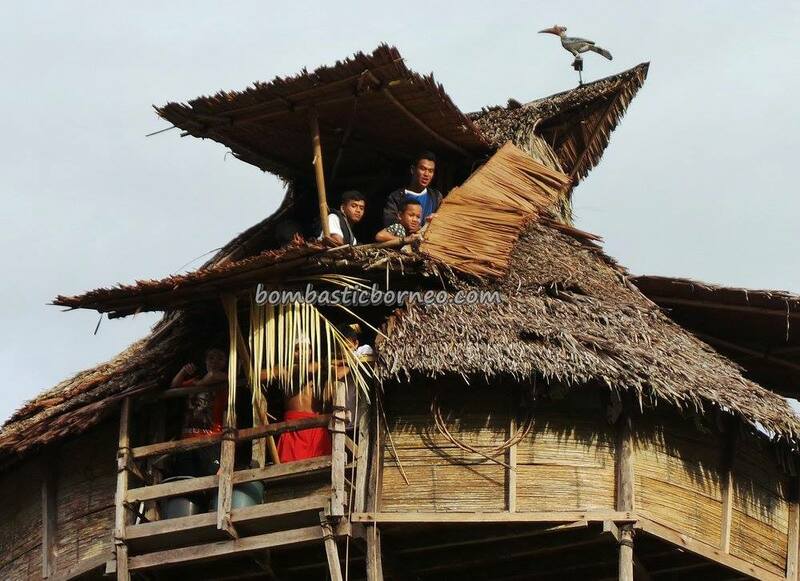 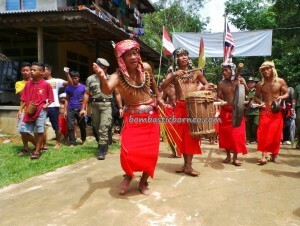 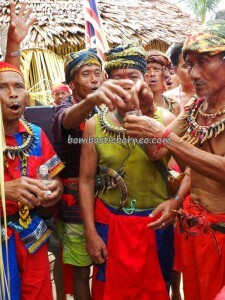 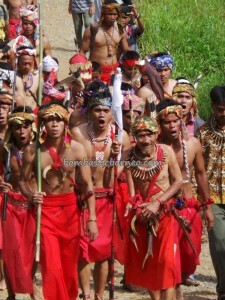 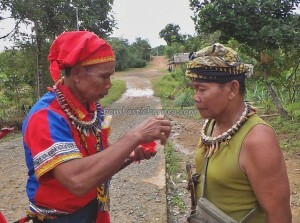 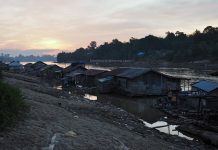 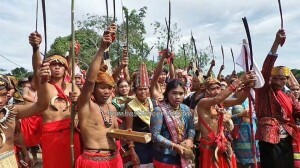 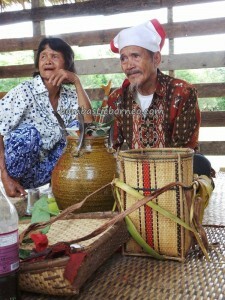 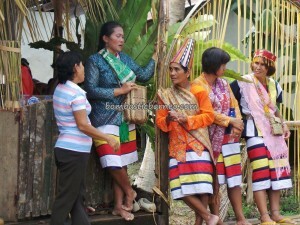 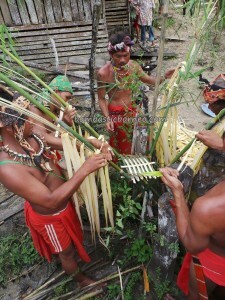 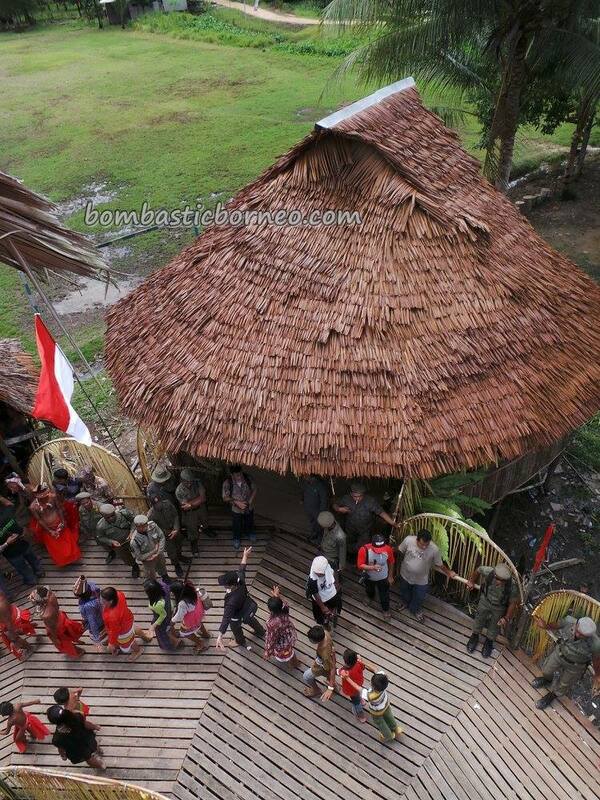 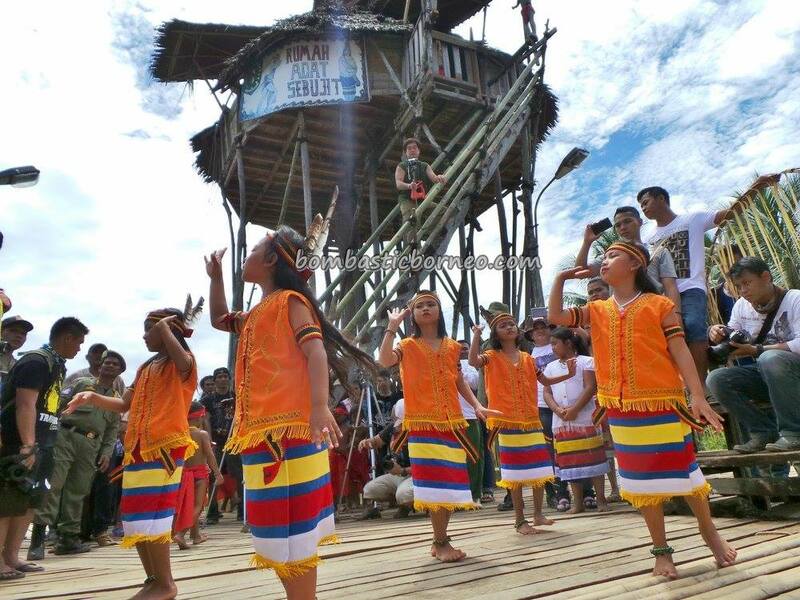 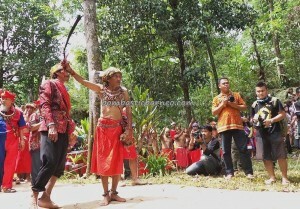 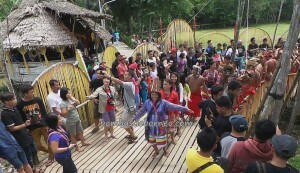 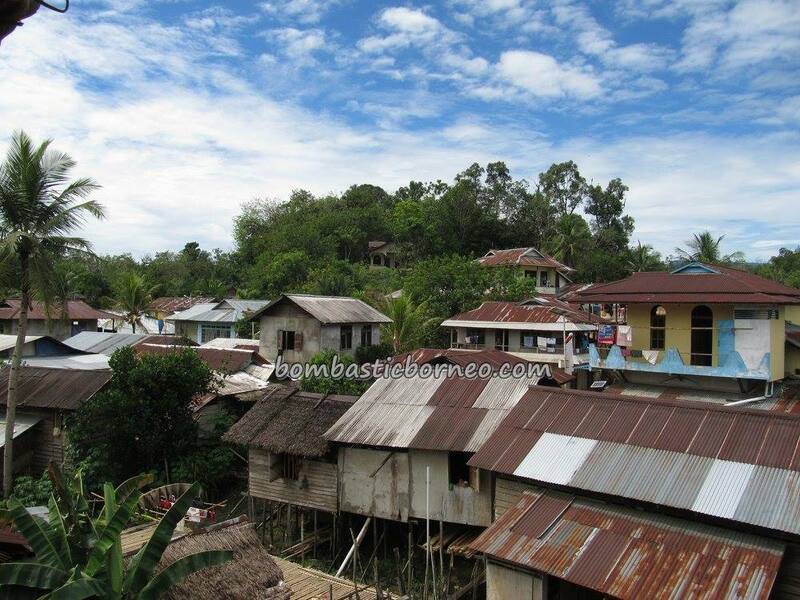 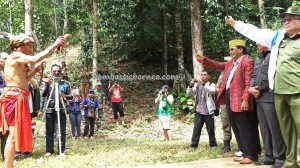 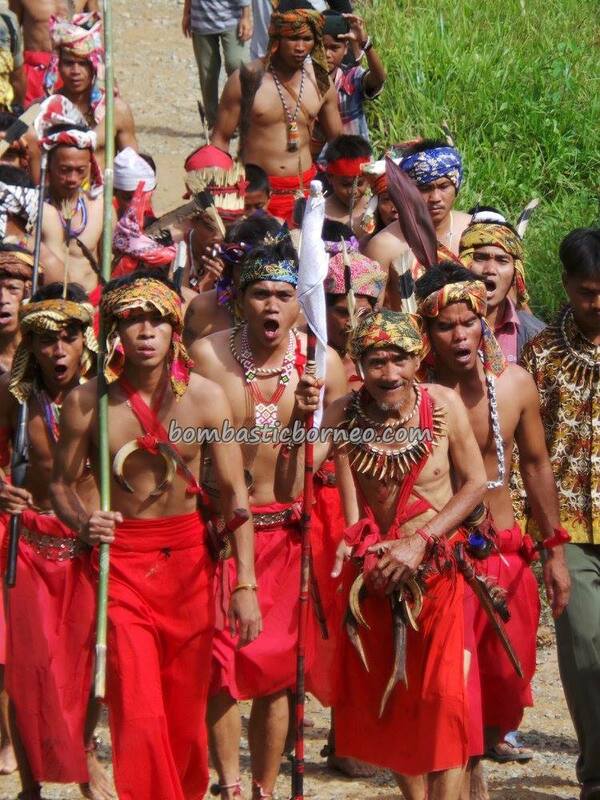 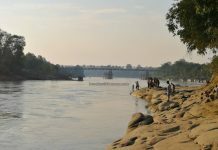 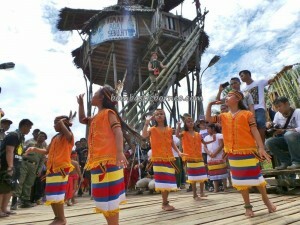 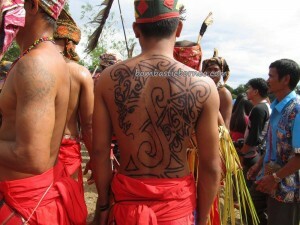 Villagers here speak a language that is most similar to that of Kampung Tringgus. 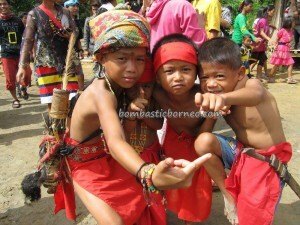 Same ancestry? 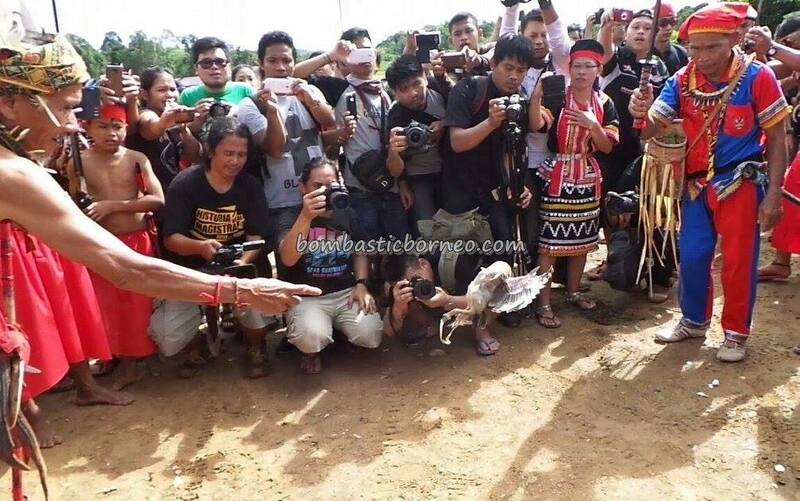 Let’s leave it to the anthropologists to find out. 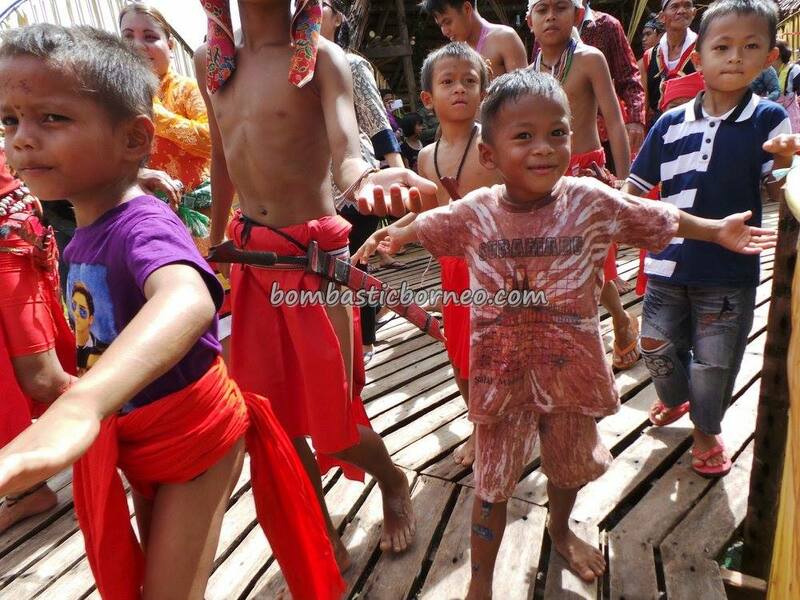 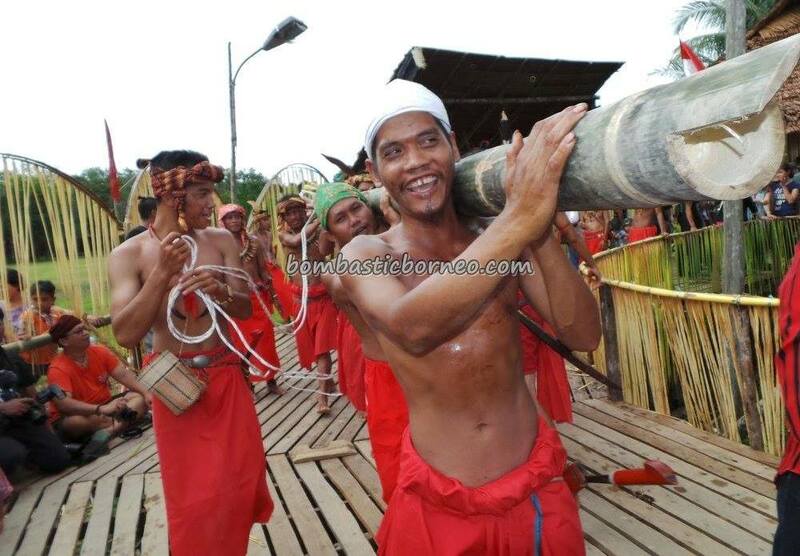 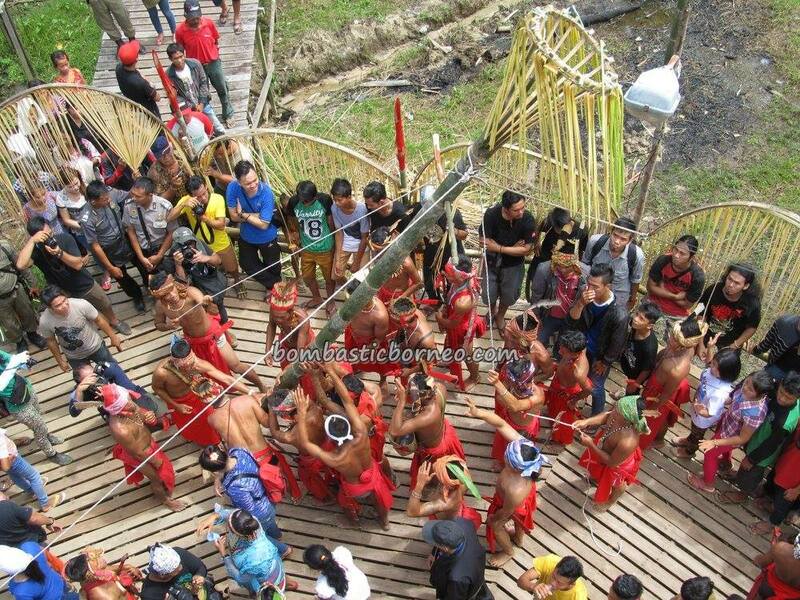 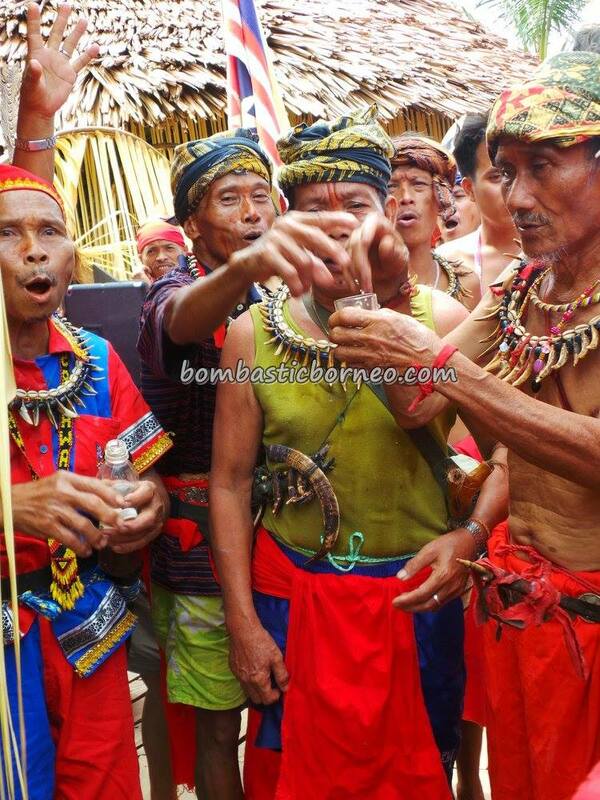 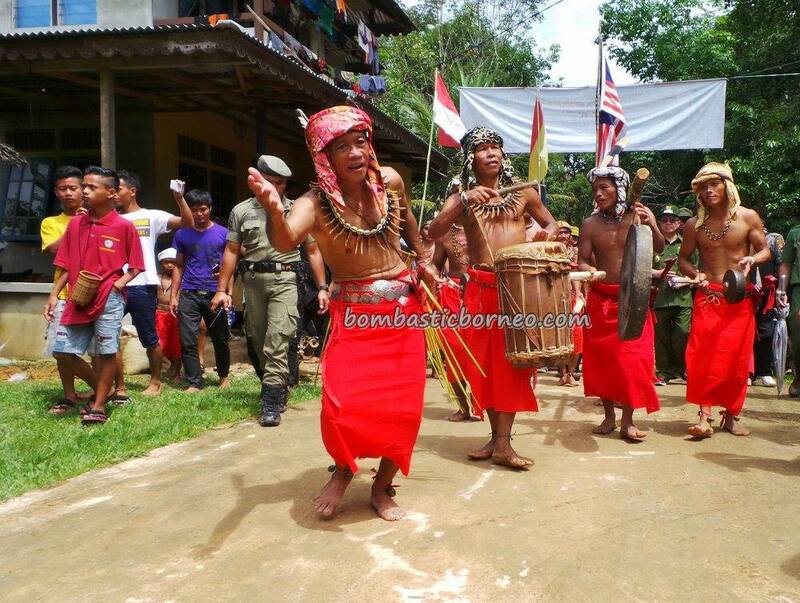 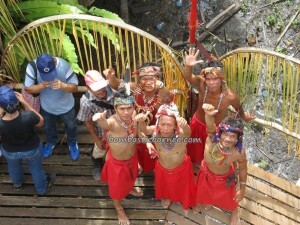 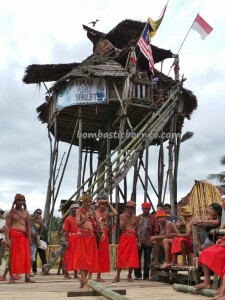 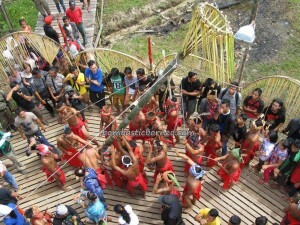 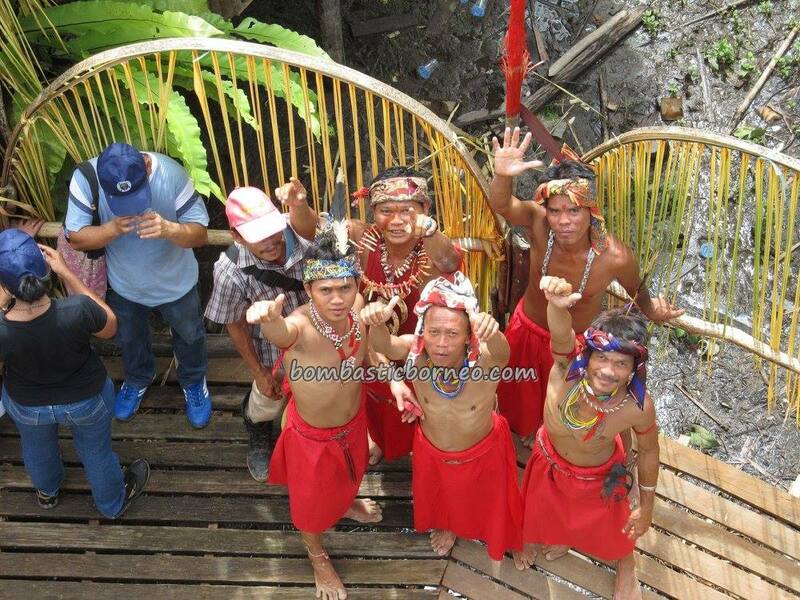 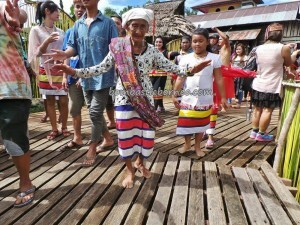 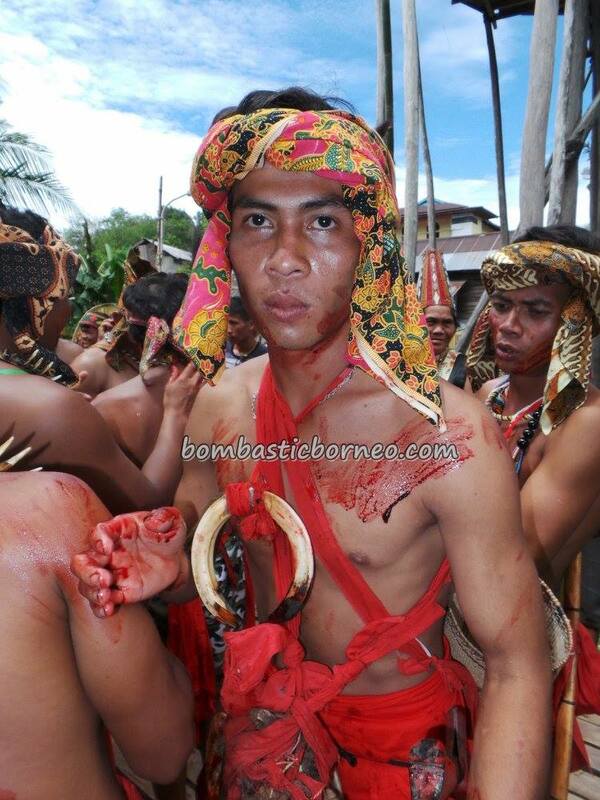 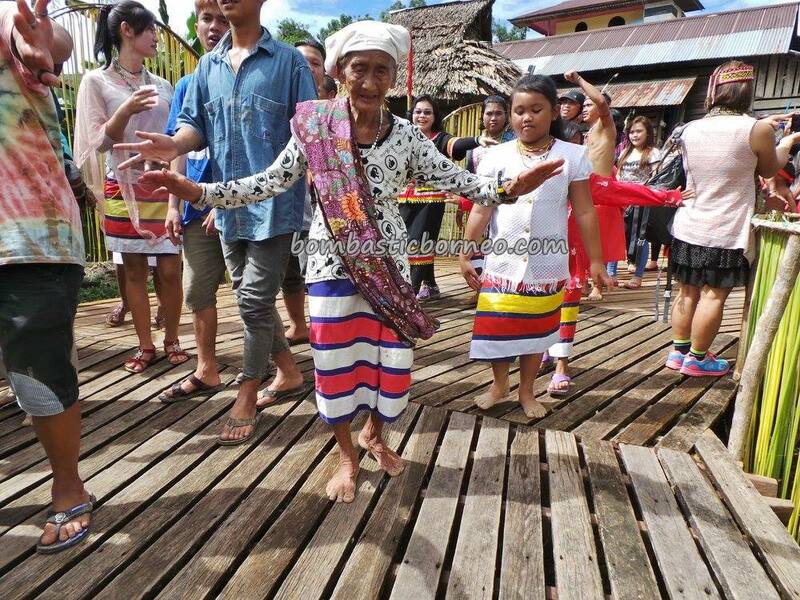 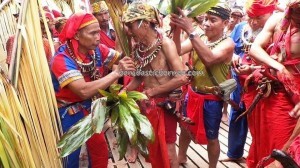 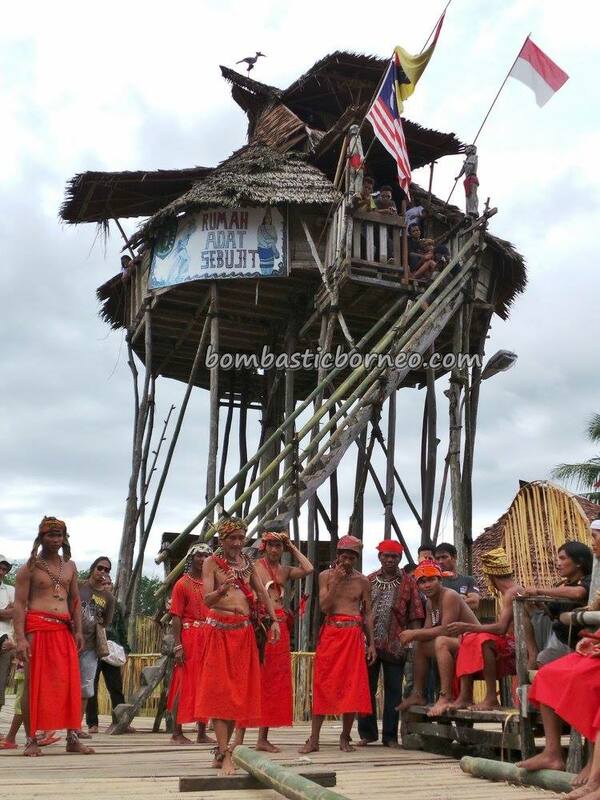 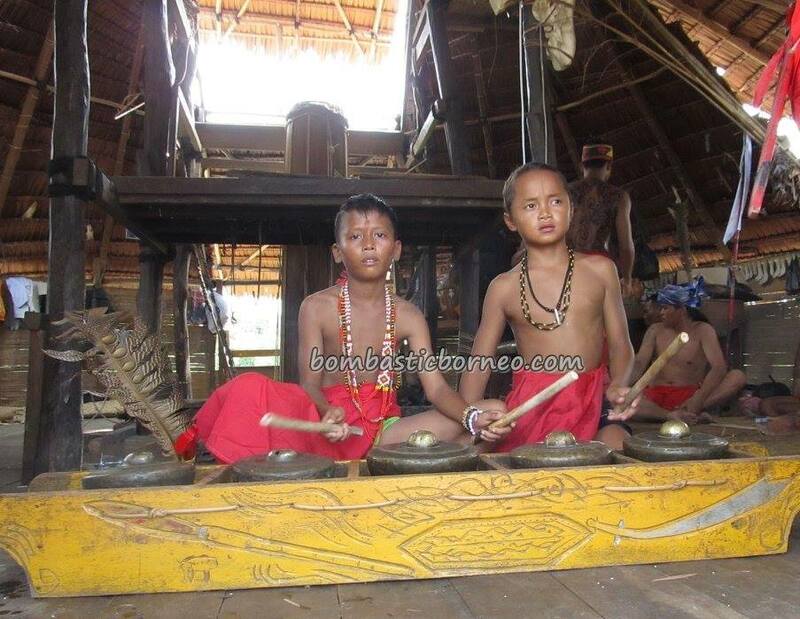 Sebujit’s Gawai Nyobeng is still the event to beat in terms of popularity and authenticity. Made more glamorous by the fact that it is a joint celebration with its counterpart Kampung Padang Pan a nearby village in Sarawak. 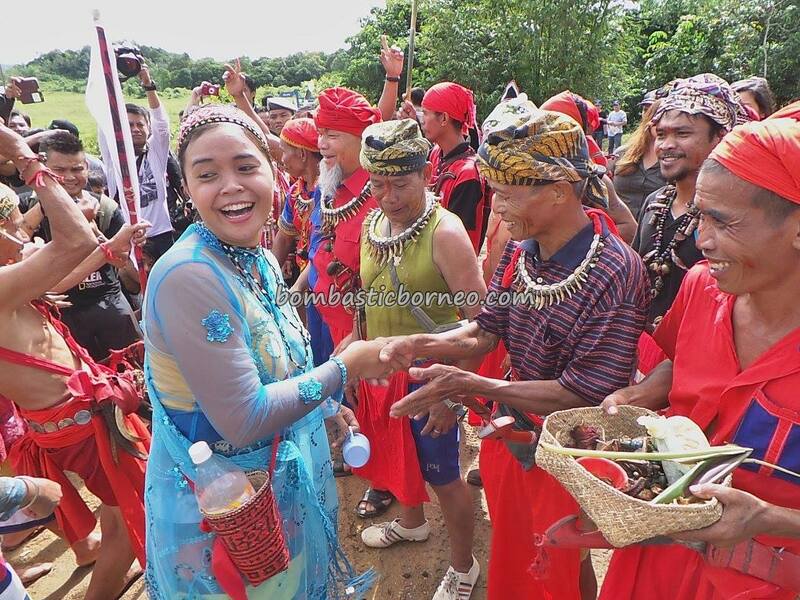 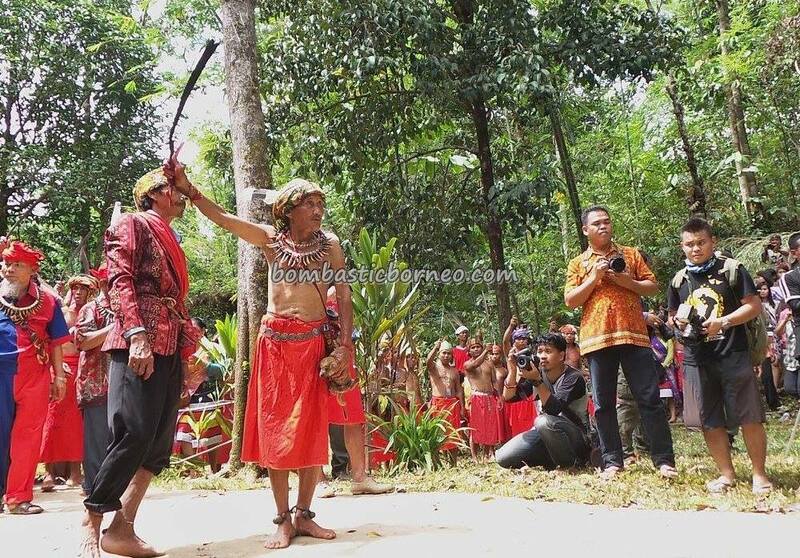 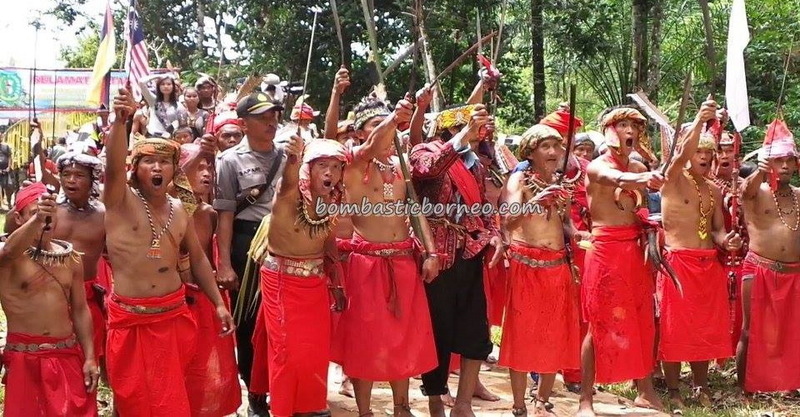 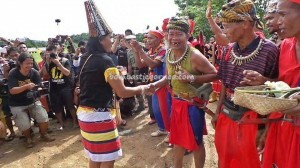 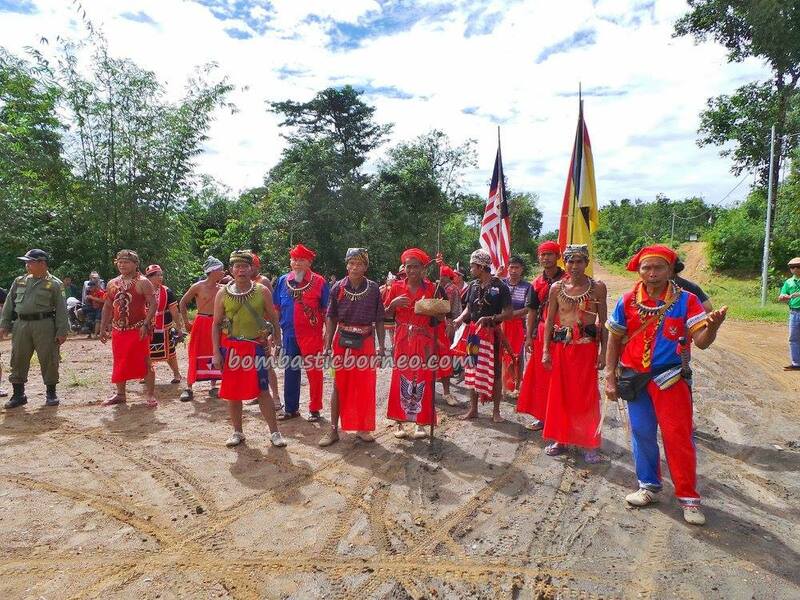 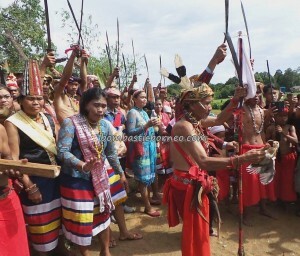 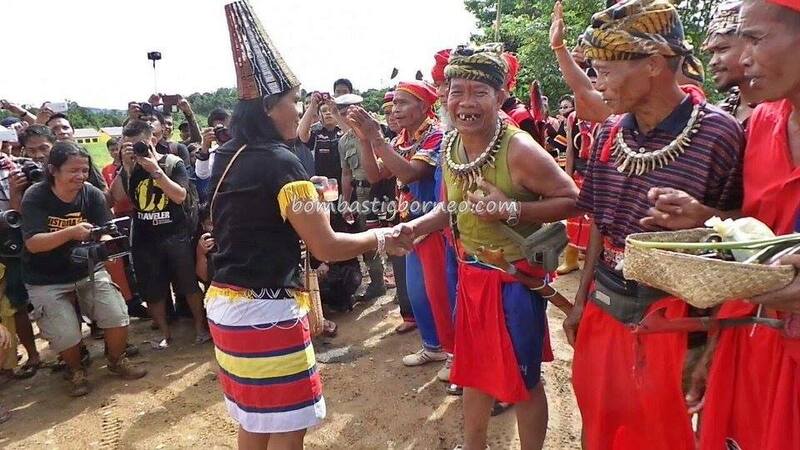 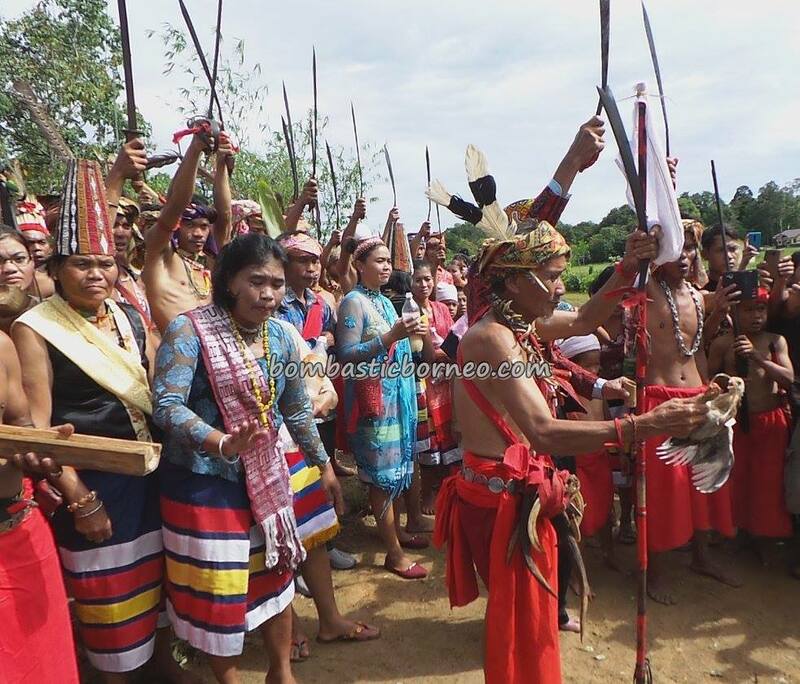 I bet when the road to Dusun Sebujit is completed this event would see a much bigger crowd and perhaps achieve international status just like the Capgomeh celebration of Singkawang. 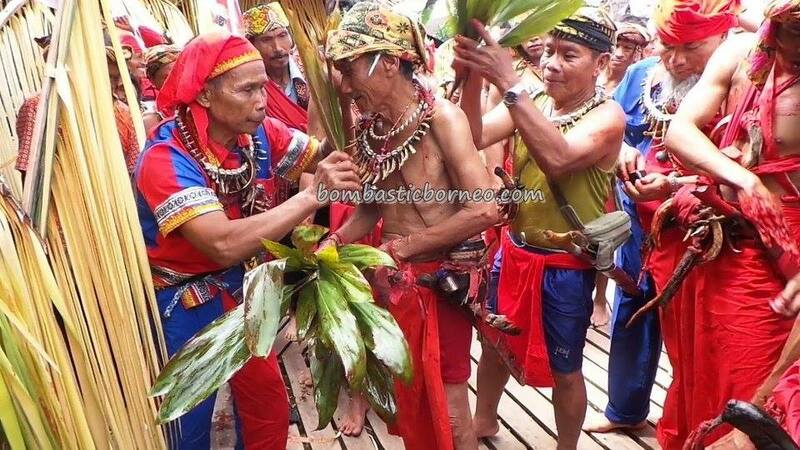 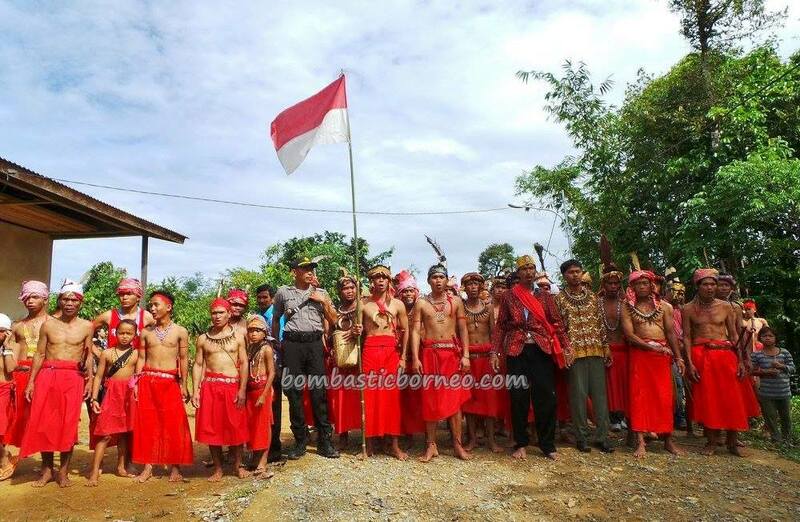 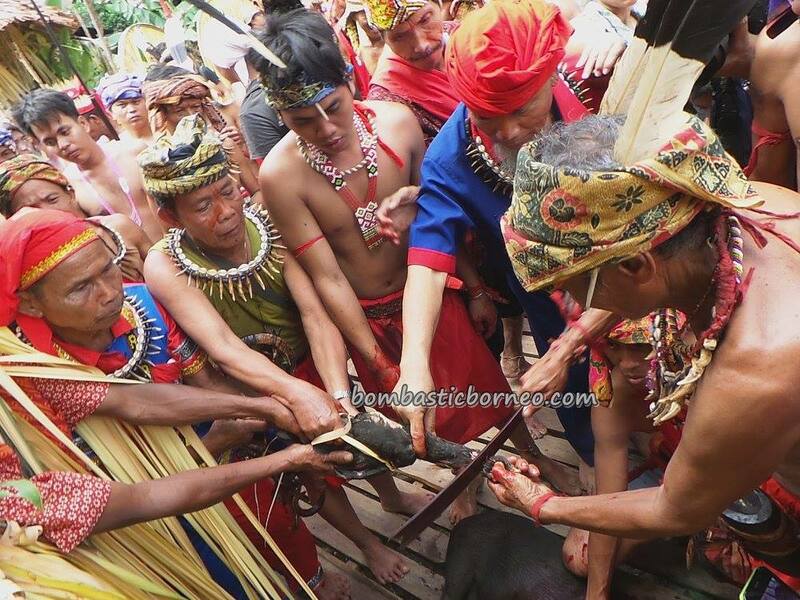 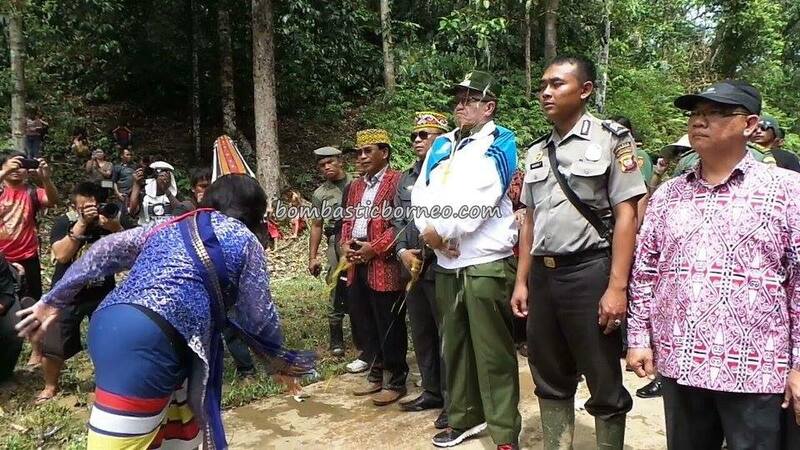 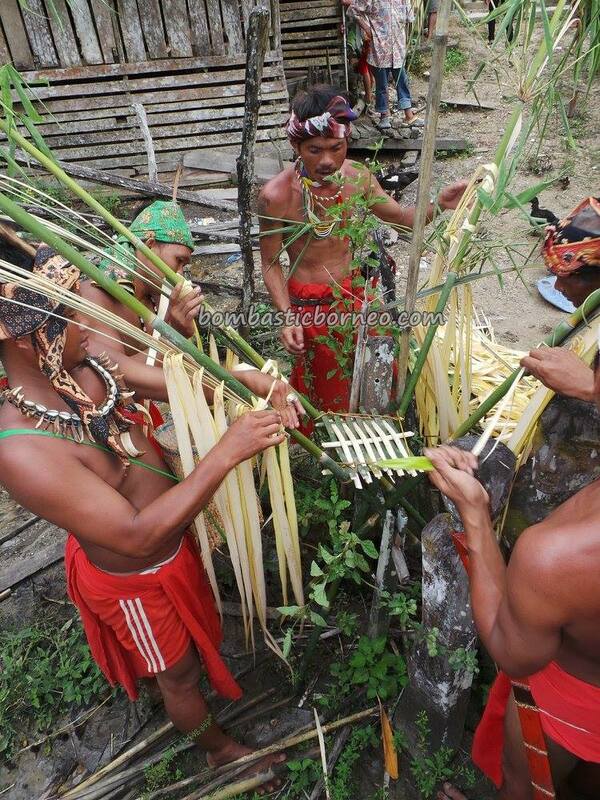 As long as the Ketua Adat of Dusun Sebujit, Pak Amin, his family and his supportive villagers continue upholding this truly remarkable ancient religious practice, this celebration can only grow bigger and bigger. 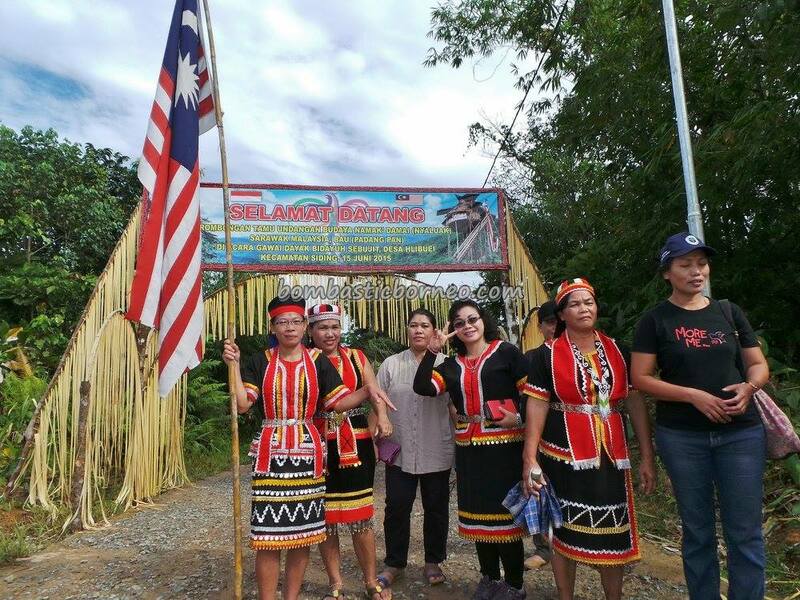 The actual day’s event started off early in the morning with the Kampung Padang Pan contingent standing by just outside the village waiting for Sebujit’s welcoming team to arrive. 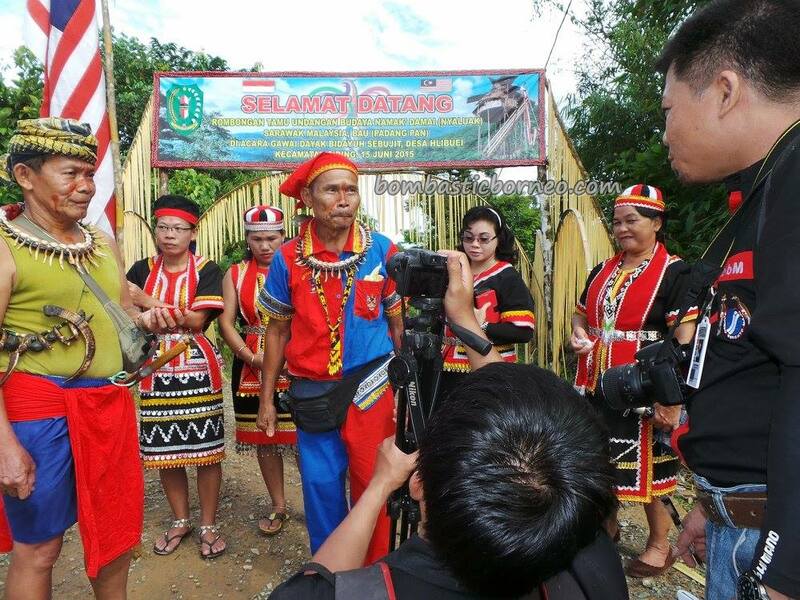 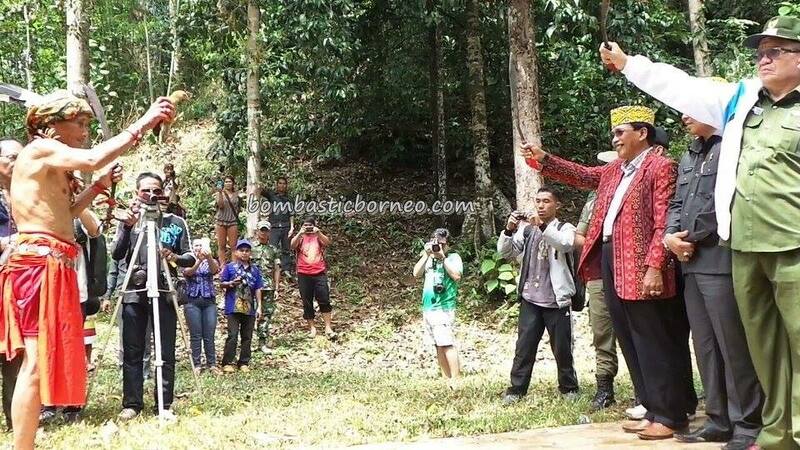 Meanwhile, Jamli Panago the media guy from Bengkayang was busy interviewing several Sarawak visitors. 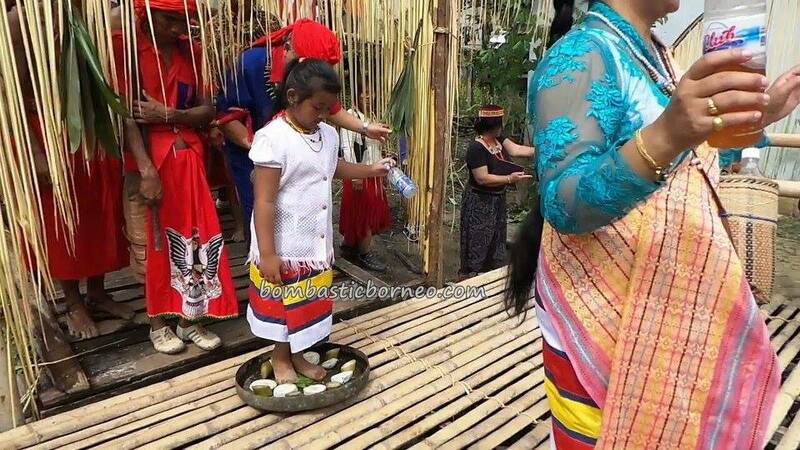 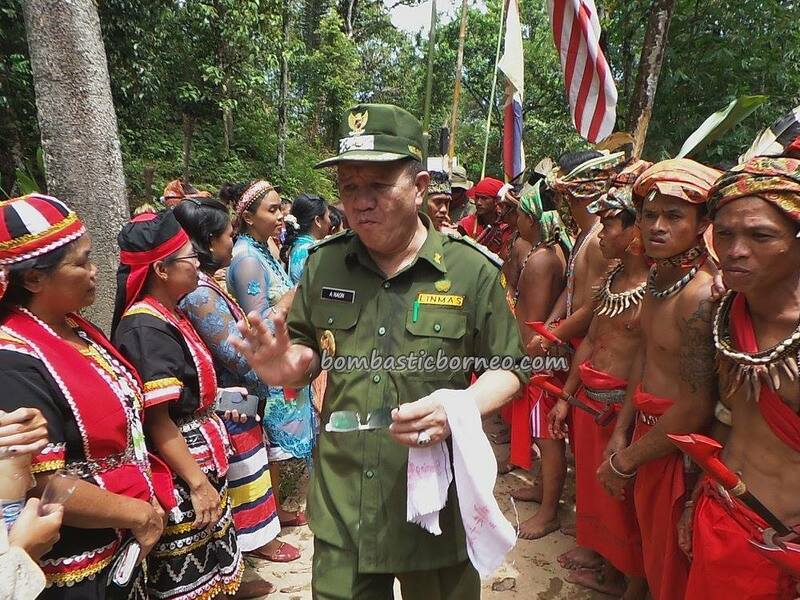 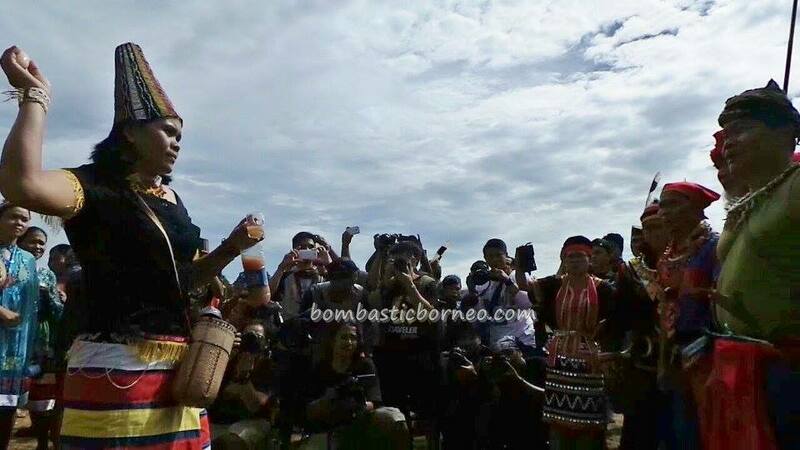 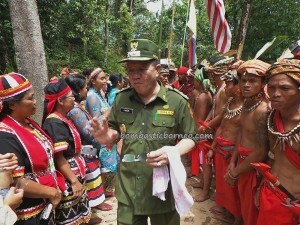 As per Sebujit’s protocol, egg throwing on the visitors, puppy and chicken sacrifice were performed when Pak Amin’entourage arrived to receive their Sarawakian guests. 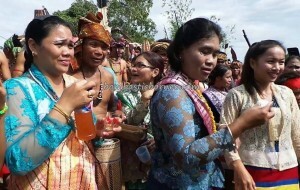 I must admit all those over enthusiastic handphone cameramen were quite a nuisance to the media and Jakarta photographers. 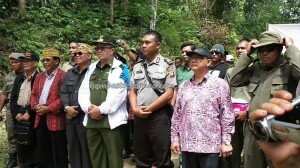 Some kind of barricade should have been put up to allow everyone room to shoot and priority should be accorded to visitors who took so much trouble to come to Sebujit. 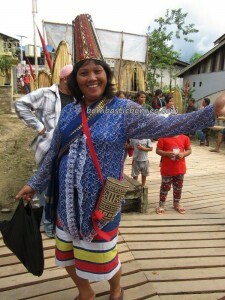 Jakarta guests had to fly into Pontianak, drive to Seluas, boat ride to Sebujit jetty and lastly ojek ride to Sebujit village. For all that effort and expenses it is only fair that they be given more room. 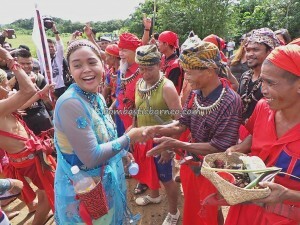 Welcoming of the VIPs one hour later was business as usual with the ever charismatic dancer Ujang leading the mobile gong ensemble and VIPs to the baruk to give their speeches. 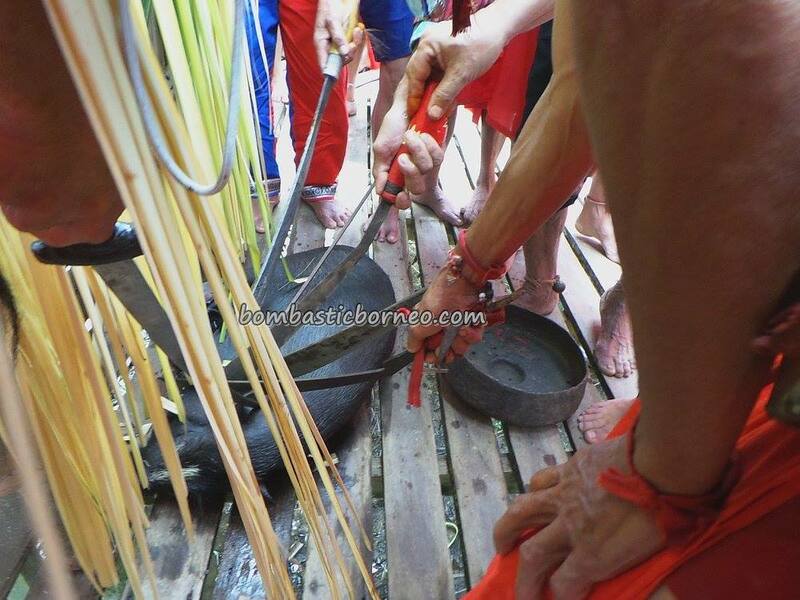 More animal sacrifices were performed for specific rituals throughout the day. 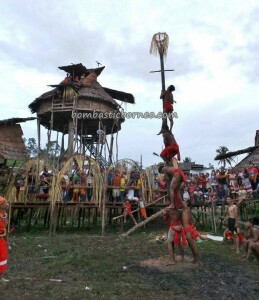 Ending at about 7pm with the inverted pole climbing competition. 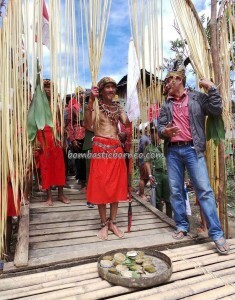 3 years on and Pak Ahem was still the man to beat. Whatever was wrong with all the young studs! 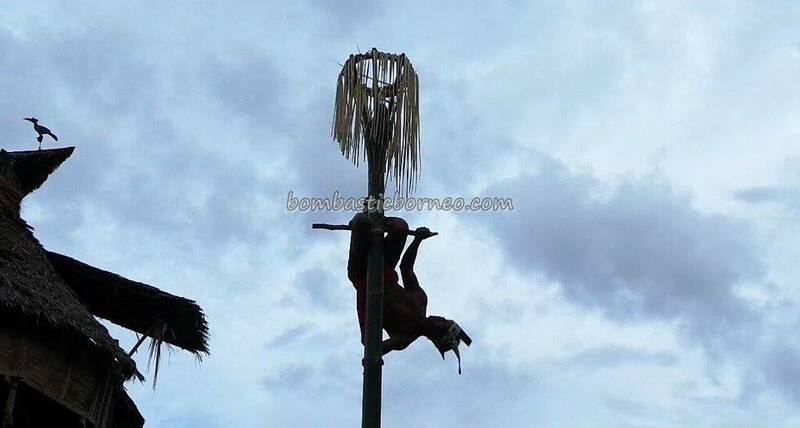 Too much alcohol, perhaps.